Why gamifying the consultant experience makes all the difference. This concept has been a conversation topic for a number of years now. Gamification is the idea of applying elements of online games to non-gaming contexts, such as marketing and sales, workplaces, online communities, education, etc. Almost every industry has adopted at least some elements of gamification, there are thousands of articles on gamification theories, dozens of gamification softwares, and even gamification consultants. Why is gamification such a big trend? While the classic Maslow's hierarchy of needs explains to us what people need in their lives, ranking them from the most basic to more advanced needs, there are many recent studies that explore the power of forgetting about specific needs and simply rewarding people with points. However, people are complicated creatures, and we tend to get bored quite easily. Hence, blindly rewarding people with points, coins or gold stars isn't going to motivate them for long. Even as children, the second we figure out that the dinosaur stickers we accumulate are useless and don't get us any candy, special privileges, or higher status among our classmates, we lose interest in trying to acquire more stickers. At the same time, accumulating points over time to see what we can earn/buy in the end is something that builds excitement and keeps us engaged in the game. The suspense of not knowing what exactly we will be rewarded with in the end, coupled with the feeling of accomplishment while consistently earning points, is exactly what makes gaming so addictive. How are games adapted to other situations? Applying these concepts of video gaming to certain parts of real life allows us to increase engagement and boost motivation. But how exactly can we transmit the online game atmosphere and user behaviors to something in our world? Progress paths: using tasks and challenges to allow the user to move through the game, allowing them to evolve, upskill, and get involved in more complex challenges. Feedback and reward: the user is rewarded with experience points, in-game currency, reputation or status, or unlocking new features or abilities. Rewards are given in real time, increasing the user's hunger for more success. Social connection: the community within the game is the source of competition and support for the user. By applying these main features to a HR policy, a curriculum, or a loyalty program, we can create a more exciting experience for people participating in this community. How does 2PS incorporate gamification? We've built a community of consultants with a bunch of different specialities, working in all industries, from all around the world. Now what? By using gamification elements in our platform, we encourage our consultants to collaborate with each other, provide the most value to their clients, and contribute to the community. Our consultants get missions appropriate to their skills (client projects), and a suitable team (other consultants with complementary skills). They work together to progress through the various tasks and complete the mission, and their contribution gets get rewarded with Skills Points and Sharing Points. The higher their ranking (based on points) within the community, the more new missions they will be recommended for and the more special privileges they will have within the community. When they work together, they get more Sharing Points compared to when they work alone; when they make or save more money for their client, they get more points; and they are able to review other consultants they are working with. What's the point? 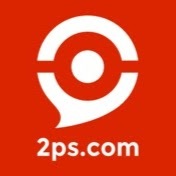 Why did 2PS gamify the consulting industry? Consulting is a very old trade. Expert advice was as valuable to kings and war generals in the Middle Ages as it is now to any successful company around the world. Unfortunately, the consulting profession isn't as exciting for the consultants themselves. Many of them spend every day in a cubicle, preparing documents or editing spreadsheets for clients they never met. This is why so many consultants choose to become independent, and work on their own terms, with their own clients. However, it's often difficult being an independent consultant. Offering a vast range of services, getting new clients, gaining credibility, etc. can prove to be a challenge. We know that independents can be very good at what they do, but just like a warrior or a wizard in an online game, they aren't always able to tackle every challenge by themselves. In certain situations, they may need a little help from someone with complementary skills. So we wanted to make a place where independent consultants can work on their own terms, but within a supportive community. Moreover, we believe that the consulting industry has diverged a lot from its original purpose. If the purpose of giving someone good advice is to ensure their maximum success, why do we see so many consulting projects that result in the company not seeing any tangible profits or moves in the right direction? In a game, however, you would never see a player aiming to do something that will not get the team closer to the objective of the mission (well, you might, but they will probably not be in the game much longer). Everyone is clear on what the purpose of the mission is, and understand their contribution to this team effort. This is what we are recreating. At 2PS, we are eliminating all debate about the role of consultants and setting "maximum profit for the client" as the objective for our consultants. With the use of gamification, we are creating a more useful type of consultants for our clients. Within the community, we want our consultants to be pleasant, supportive, and most of all, useful.